Earth Day is always fun to celebrate with students and it’s great to help kids understand how people and nature are so closely linked. This Earth Day activity is made to be EASY…just assign in Google Classroom and GO! This Earth Day Craftivity is a fun way to get kids thinking about how they can make their Earth a better place to live. The activity starts off in Google Slides. Students research, find information about how they can make their world a better place, and then place this information in the presentation. If you choose, you can then print the activity to create a fun hanging craftivity for the hallway! 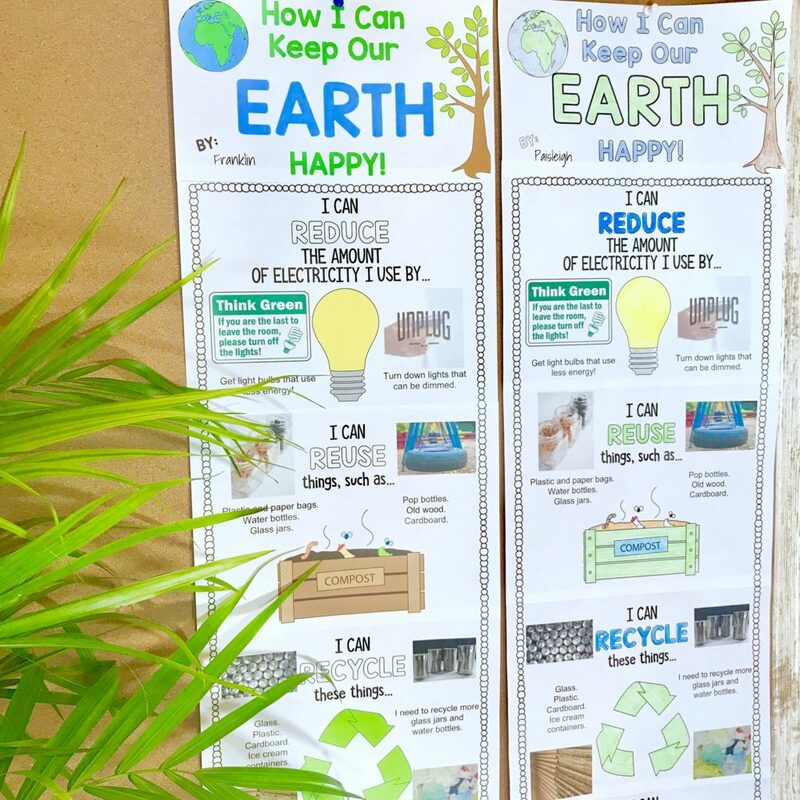 You can easily share this activity with students in Google Classroom, where they will enter their own information about ways to help their Earth. There is a video included in the download for this resource explaining how you can share within Classroom. *How can I reduce what I use? *How can I reuse things in my life? *How can I recycle in my daily life? *How can I help save water? There is both a black and white version and a color version included, so if you don’t have access to a color printer, you can have students use the BW version and then color once printed. Once printed, have students glue together and you have a great hallway display! The kids will use Google Slides to insert their thoughts, ideas, and pictures that answer each of the questions listed in the project. This is also a great way to get students thinking and using infographics. The finished product is a great infographic display for the hallway or a bulletin board. Sign up for the Google Classroom Newsletter to get the latest information, updates, and resources that will help you integrate GC into your classroom!